As a leading Africa-focused financial services organisation, Standard Bank now offers a Standard Bank Credit Card. Standard Bank has a history in South Africa that goes back 154 years so you can rely on their experience. Worthwhile banking products and services set the standard in 20 African countries. Use your Standard Bank Credit Card at any one of the many merchants worldwide. With their secure chip and PIN security features, shopping with a credit card from Standard Bank is safer than ever. Standard Bank credit cards come with many free, useful features such as lost card protection, Internet banking, travel insurance as well as other benefits. The bank has also made it easy for their customers to apply for credit cards. Once you enter your details on their website application form and submit, you’ll know what your options are in a few hours. One of Standards favourite Cards is the Platinum Credit Card. This card requires you to earn an income of R58 000 or more and be older than 18 years of age. 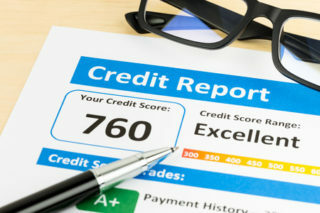 As with most banks, approval depends on what your credit check reveals. Once approved you will have access to the Platinum Customer Care Line 24 hours a day. Plus 55 days interest-free credit, provided you pay the card balance in full each month and by the due date. Whether it’s the Standard Bank Platinum, Titanium or Gold Credit Card, apply by filling in the online application form. If you go to one of the branches to apply, take along your ID book, three recent payslips and proof of your home address. Some benefits of a Standard Bank Credit Card include free basic travel insurance when using your card to buy tickets. Get UCount points each time you swipe to purchase, plus you can withdraw cash from these cards locally and internationally. Buy wherever you see the Mastercard sign. Utilise the budget facility when you buy, and cash advances of R200 or more. You can take between 6 to 60 months to repay the amount. The only purchases you can’t make with your budget facility are for foreign currency, traveller’s cheques, petrol and electronic account payments. Pay your instalments every month in full and on time. Credit cards from Standard Bank allow you to buy wherever you are in the world. By using these cards, you can earn money back on your day-to-day purchases, and if you love to travel, some of the cards offer free flights as rewards. With more than a century of experience behind them, Standard Bank closes at certain times of the day, but their credit cards have no such limitations, and they’re available for you to use 24/7, offering you freedom to shop as you please. ← How can I get a Visa Credit Card?